This really is a basic, yummy fruit dessert, but what catapults it into the realm of absolutely blissful deliciousness is the addition of a scoop of vanilla ice cream or a dollop of freshly whipped cream! A group of family decided to go "Glamping" to Moses Lake for the "Eclipse" in August. We always share dinner and everyone participates in the preparation. One of the nights I made the "Mixed Berry Cobbler"! A big hit! Any fruit ...6 cups or large clear bag frozen fruit from QFC. Dump in bowl with 1/3 cup sugar (I skimp for a more tart dish) and 1/3 c. flour. Fold in with fruit and dump into your baking dish and dot with 2 T butter. Set aside to prepare crust. STIR....will instantly become a ball of "dough"....roll out to a size of your baking dish between wax paper, plastic wrap or foil. When I don't have a rolling pin, I just use a wine bottle. 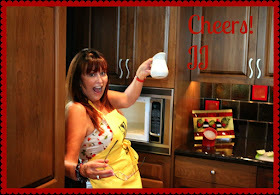 Because I use paper or plastic wrap, no need to sanitize the bottle! 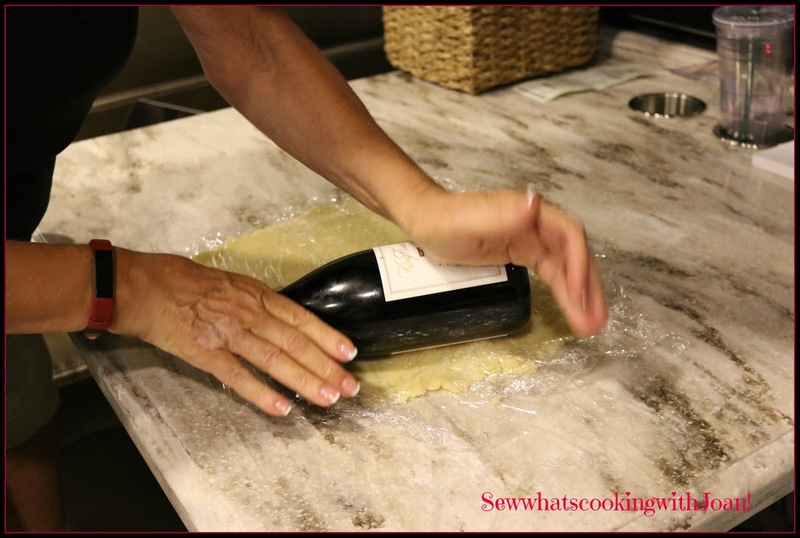 I haven't found a need to take up space in the motorcoach with a rolling pin! Peel off one side of paper and place over fruit....PEEL off second piece of paper or foil...VOILA! Tuck or trim edges and patch any bare places over fruit. Top with a "smattering " of sugar. BAKE - 425 Degrees for 40 min. 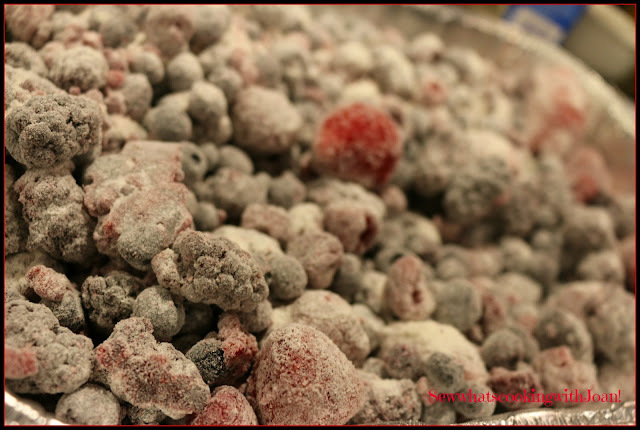 May cook a bit longer if berries were totally frozen. Raspberry fruit is delicate, so I only cooked them 40 min. Use your own judgement. At end of 40 minutes and fruit is bubbling like crazy, it is DONE! 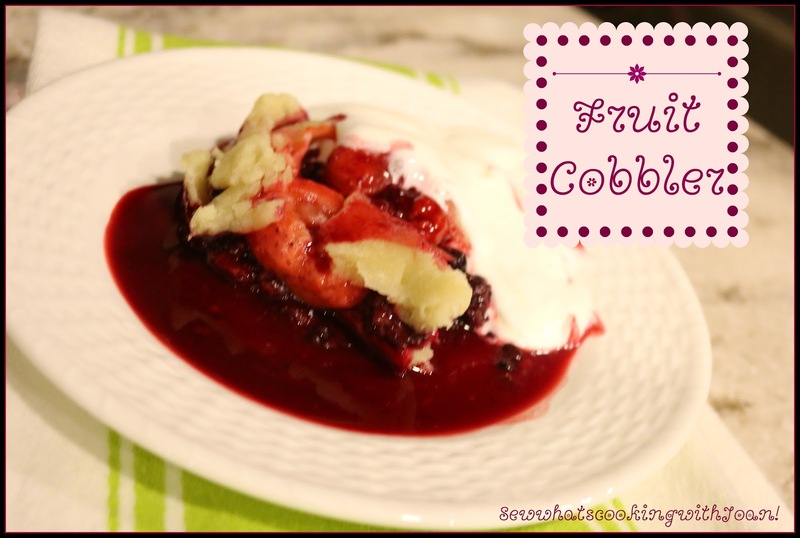 Serve with ice cream or a big dollop of freshly whipped cream! 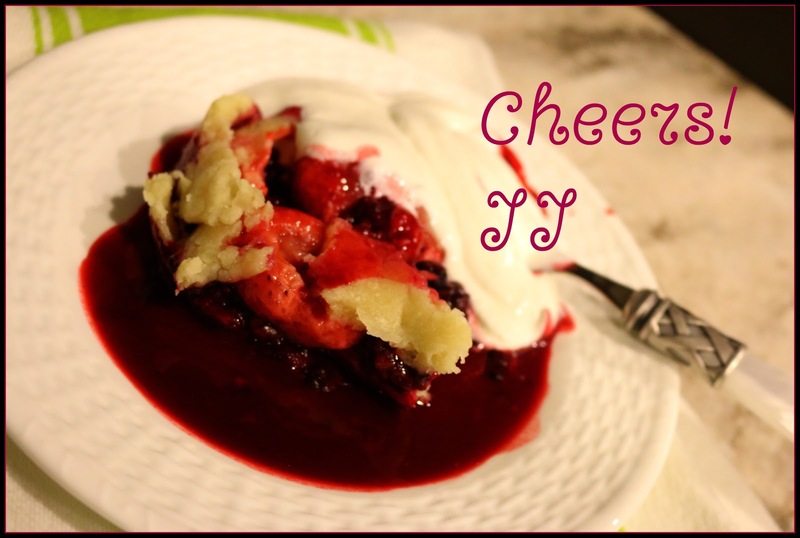 I have made this with every berry fruit and combination....a hit EVERY time.